Pick an entry from your address book or fill out your own data and create a personal and a business QR code. QR codes are device independent and can be read from most mobile devices and smartphones. There is no easier way to share your contact information! Both QR codes can also be displayed on the Apple Watch. 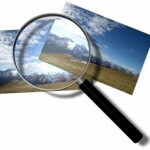 Please visit www.lakehorn.com for news and updates of PixVeew and PixCompare. The pages for these two products will no longer be maintained on this site. Visit new PixVeew homepage at lakehorn.com. Let me know what you think or contact me for improvements or ideas! 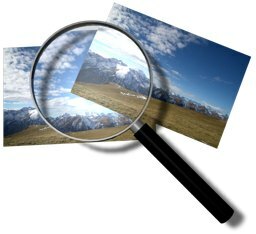 PixViewer is a simple any easy picture viewer for the Mac. Its main purpose is to browse quickly through a folder of image files. You can also directly move files to the trash while browsing. The old FastPic was developed using the Carbon library, which is no longer properly supported. I had to rewrite the application from scratch for Cocoa. Over time, I’ll add all past features from FastPic plus add new features, some if which will be available in a pro mode only. I’ve fixed several memory leak bugs, also I moved to SDK 10.7 so it should work nicely on Lion. And, also for Lion, I’ve created a high-res icon for the application. Go to the PixCompare page.